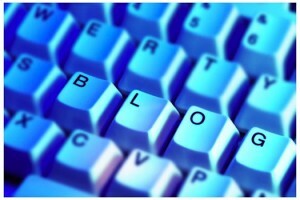 A great blog or web presence can catch an agent’s eye and help build you a fantastic platform. Blogging regularly can also keep your writerly chops in good working order and connect you to a whole community of people who share your goals and interests. Today, we’ll talk about some ways to make sure you’re putting your best foot forward on the web. You might be writing the most fantastic blog posts in the history of the Internet, but if your website or blog looks like you’re still hugging the eighties close, readers will focus on your poor design rather than your prose. Fortunately, you don’t have to pour a ton of money into hiring a web designer. Even if you’re operating on a shoestring budget, you can still keep the design of your site clean, fresh, and appealing. Avoid cumbersome graphics (Flash is almost universally despised). If you don’t have a design background, simpler is always better. Most blogging platforms—Wordpress, Blogger, and Tumblr in particular—offer free, simple, and elegant templates that will help make sure your design isn’t detracting from your content. If you can afford to spring for a customized design, by all means do so—but avoid flashy fonts or graphics that can distract readers from your message. Simpler is always better. Looking to successful blogs can be a great way to identify patterns or strategies that will help you reach as broad an audience as possible. But at the end of the day, your blog or website is about you! We all have a unique perspective to offer, and your own passions will help set your content apart. What fascinates you? What are you most interested in? Do you love talking about writing, the nitty-gritty of publishing, or your current work in progress? Do you enjoy spinning out events in your life into funny or inspiring stories? There are no hard and fast “rules”—what matters most to you is what will matter to your readers. People respond to enthusiasm, honesty, and humor, whether you’re talking about your research process, your struggle to find the perfect agent, or the cookies you baked this morning. Figure out what you most love writing about, and your audience will follow. You may not have the time or energy to respond to every single person who comes across your work—and that’s fine! But your online presence can really blossom once you choose to cultivate relationships with your readers. Respond to comments or emails if you have time; if not, try crafting a post around a comment, or reaching out to other bloggers or writers with similar interests. Think about the way you make friends in the offline world—chances are, you seek out people who share your goals or interests. Apply that practice to your online presence, and you’re set! I know—titling your posts can be the absolute worst! But distilling your ideas into a snappy, eye-catching title is a great way to attract readers—and it’s fantastic practice for promoting your writing and yourself. Think of what’s called the “elevator pitch” in publishing—imagine you’re in an elevator with an agent or editor, and you have just a handful of floors to sell him or her on your fabulous idea. What’s the essence of your work? What’s the hook? Attention-getting titles for your blog posts are a simple way to get used to the idea of pitching your writing—and a great way to build an audience. This may seem obvious, but it’s easy to overlook. Break your post up visually so that it’s easily accessible to readers—for example, use line breaks between paragraphs, and make sure your blog posts are written in a legible font and format (white text on a black background looks cool, for example, but it’s extremely difficult to read). If you use images in your posts, check that the text flows smoothly around them. You want to make sure your audience isn’t put off by your formatting before they even have a chance to read your posts. Your web presence should, first and foremost, represent you. Have fun with it while keeping your audience in mind and you’ll be on the path to an effective author platform.